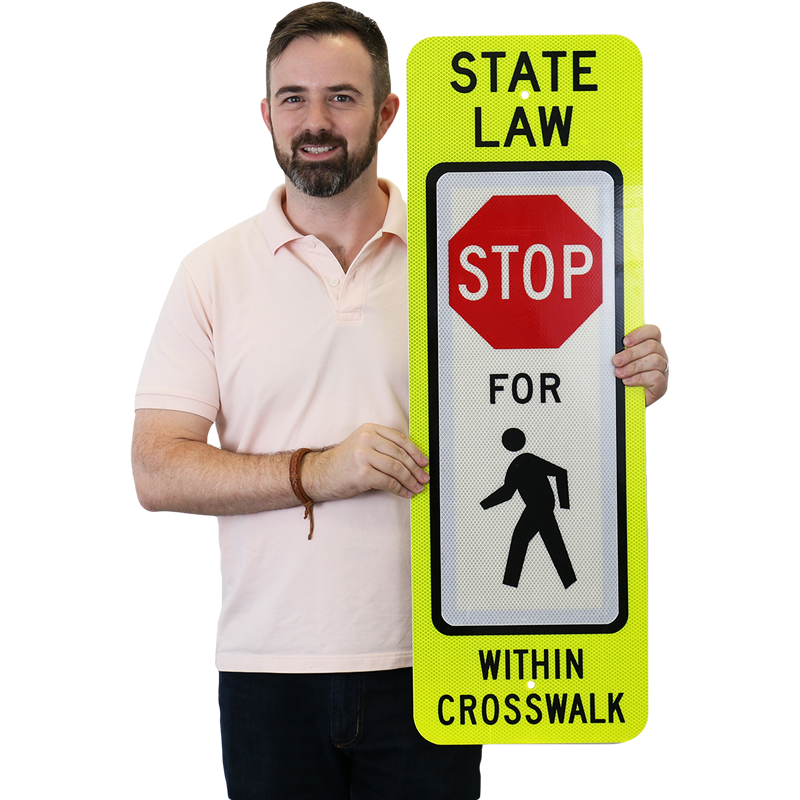 Crossing signs are crucial for safeguarding your streets, community and pedestrians in the general vicinity. 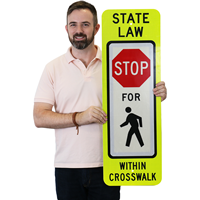 Posting pedestrian crossing signs not only protects people from accidents, but they help alert oncoming drivers of pedestrians ensuring they come to a complete stop. Providing an advance notice for carless drivers in high-traffic areas such as schools, shopping malls, businesses, etc. may make all the difference in preventing a catastrophe. Made from the brightest material produced by 3M, which offers unparalleled reflectivity and provides exceptional nighttime visibility. Constructed from 80 mil (.080") thick non-rusting aluminum with prepunched/precleared holes in the center and rounded corners for safe handling. Standard: 01 If used, the In-Street Pedestrian Crossing sign shall be placed in the roadway at the crosswalk location on the center line, on a lane line, or on a median island. The In-Street Pedestrian Crossing sign shall not be post-mounted on the left-hand or right-hand side of the roadway. 02 If used, the Overhead Pedestrian Crossing sign shall be placed over the roadway at the crosswalk location. 03 An In-Street or Overhead Pedestrian Crossing sign shall not be placed in advance of the crosswalk to educate road users about the State law prior to reaching the crosswalk, nor shall it be installed as an educational display that is not near any crosswalk.08 The In-Street Pedestrian Crossing sign and the Overhead Pedestrian Crossing sign shall not be used at signalized locations. 04 The STOP FOR legend shall only be used in States where the State law specifically requires that a driver must stop for a pedestrian in a crosswalk. 05 The In-Street Pedestrian Crossing sign shall have a black legend (except for the red STOP or YIELD sign symbols) and border on a white background, surrounded by an outer yellow or fluorescent yellow-green background area. The Overhead Pedestrian Crossing sign shall have a black legend and border on a yellow or fluorescent yellow-green background at the top of the sign and a black legend and border on a white background at the bottom of the sign. 06 Unless the In-Street Pedestrian Crossing sign is placed on a physical island, the sign support shall be designed to bend over and then bounce back to its normal vertical position when struck by a vehicle. 07 The top of an In-Street Pedestrian Crossing sign shall be a maximum of 4 feet above the pavement surface. 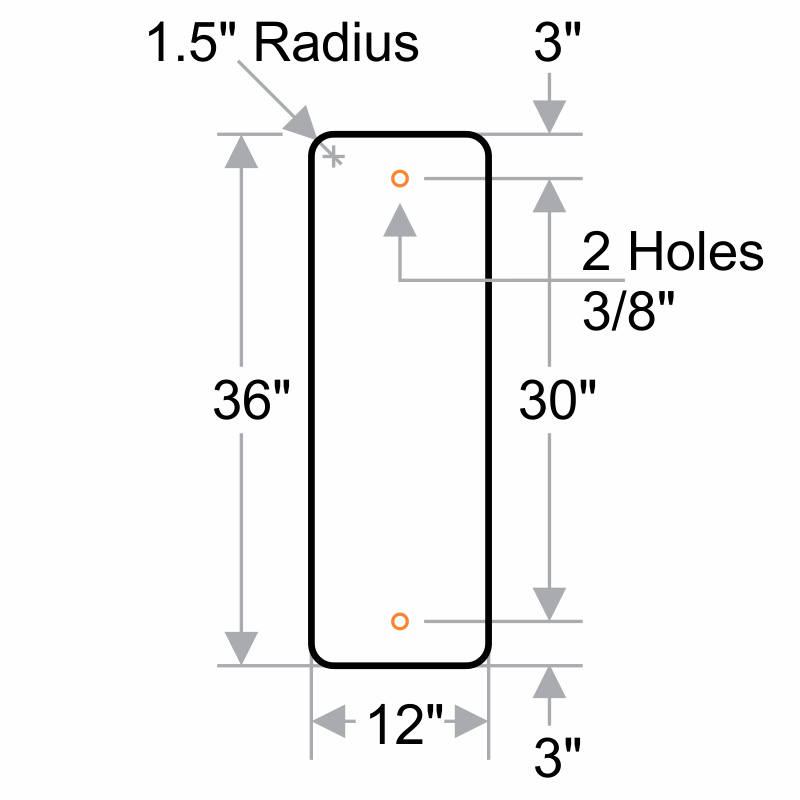 The top of an In-Street Pedestrian Crossing sign placed in an island shall be a maximum of 4 feet above the island surface. THEY ARE BRIGHTLY COLORED AND QUALITY MADE. These are easy to see, and they appear to be very durable.